Mark Cavendish (Omega Pharma-QuickStep) won the final stage of the Giro d’Italia with a decisive sprint in Brescia. It was an unprecedented fifth stage win for the Briton and secured him the red jersey of the points classification leader. Vincenzo Nibali (Astana) finished comfortably in the bunch to win the race overall, the second grand tour of his career. The win means Cavendish has now won the points competition in each of the three grand tours, and banishes the memory of last year when he lost out by just one point to Joaquim Rodriguez. 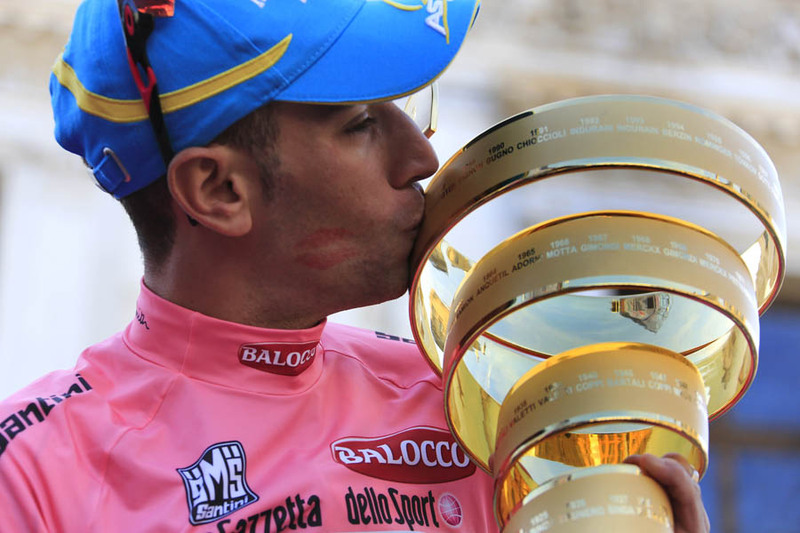 He bookended the race with stage wins and underlined it as his most successful Giro campaign. The sprint itself was a formality as no one else could match Cavendish’s speed, but before that there was a stressful period as no one knew when the final intermediate sprint was coming. Cavendish started today’s final stage in the red jersey, although he actually sat second in the competition behind overall leader Nibali who had taken the lead in points classification with his win yesterday. Cavendish won the first intermediate sprint but when the peloton hit the tight finishing circuit in Brescia there was confusion as to when the second and final intermediate sprint was. To make sure he lead across the line on each of the first three occassions, the first time having to jump accross to a lone escapee 50m off the front of the bunch. He was clearly frustrated, but it paid off on the third occassion as he was awarded the points that put him back in the lead, meaning he just had to finish the stage to win the red jersey. That was never going to be enough for Cavendish who obviously wanted the stage win too. He made it look easy but the build up was anything but. Omega Pharma had lead for the final 16km but got swamped in the last three kilometres. They had to squeeze themselves back to the front, around corners that were wide enough only for one rider at a time, and when they got there Cavendish had only two riders with him. In the final kilometre the Cannondale sprint train surged to the front but Cavendish calmly jumped on to the back of them, waited for others to start their sprint and timed his effort to perfection.